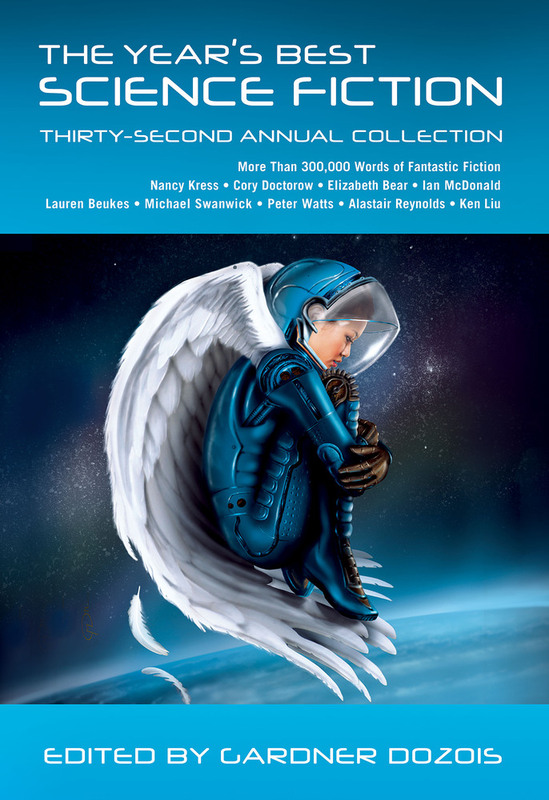 Very happy to announce that my novelette “The Rider”, originally published in F&SF, reappears this week in the latest annual issue of The Year’s Best SF, edited by Gardner Dozois. Classy! classy and well deserved! Just read The Rider in this anthology, and loved it. It was the kind of story that pulled me in and made me want more. Great character interactions, and a world with so much potential for many different kinds of stories! I will be watching for any novels you write in this or any other fictional universe. Thank you! Just spent a joyful morning in a sunny cafe with this anthology, during which I read your short story. I loved how tense and action-y it was, whilst being very much about their relationship. I’m thinking a lot about the writing process at the moment. Do you plot things out before you write? Or do you write more instinctively? The Rider seems to have been very intentionally structured on a number of levels, which really makes it work as a story. I usually try to plot the stories beforehand, but if I remember correctly, this one was written during a Bangkok to Hong Kong flight (ie quite short). I was thinking how sad it is that modern science and technology doesn’t leave much room for individual genius and know-how: research teams now count hundreds if not thousands of people; microchip factories are measured in dozens of football pitches. It’s highly unlikely the next major innovation comes from a single person, like Fleming or Jobs & Wozniak. Scenes (the chicken chopping board, the flight in taxi and minibus, the maker) and details of background immediately came to me. The AI’s voice emerged too — an eerily reasonable voice like HAL’s, so reasonable that his rider needed to be quite foolish, as a counterweight. But Luke’s whining started annoying me, so I decided to make him suffer. That’s where (I think) the story got interesting: every time he thought he was back to safety, I tried to make the situation go worse, the bottom fall off, the ground disappear under his feet. I think my sadistic chuckles brought me a few concerned stares from my neighbours in the plane. But retrospectively, this is exactly how you build suspense: what happens is never what the reader expects. Afterwards, as it became obvious The Rider, under the guise of an action story, was a bromance (if not even a romance), I decided to give a few early hints to the reader, so he or she wouldn’t feel cheated at the end. The Jennifer Anniston reference is one of them. That’s all I remember… Does it answer your question? That’s a wonderfully comprehensive answer. Thank you. I’m impressed you managed to get so much done on a flight. Stories rarely come to me very quickly. There’s lots of rumination, trying to get them to come together, quite often unsuccessfully.